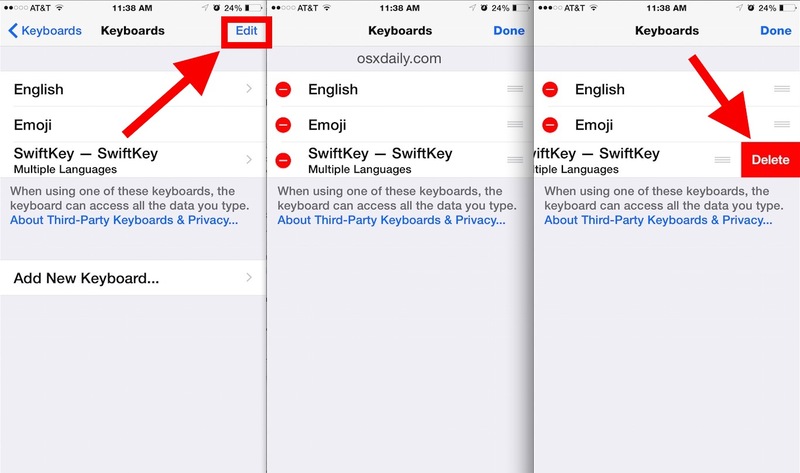 Many of us explored the array of new keyboard options available now that iOS supports third party keyboards, but if you’re anything like me you probably settled on one that worked for your typing needs (if not the iOS default and QuickType) and now your iPhone or iPad has multiple unused keyboards laying about. 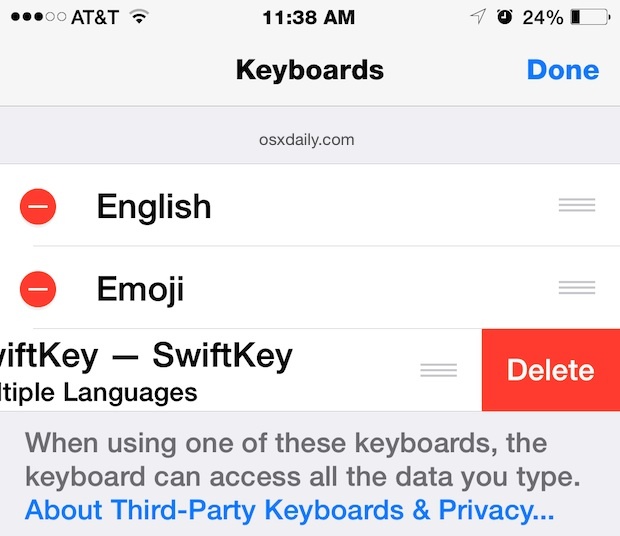 While there isn’t much harm to letting the unused keyboards sit idle on your iOS device, you may want to clean house and remove the unwanted options that were downloaded and installed onto your phone. Deleting a keyboard is actually fairly similar to installing a new one. Doing this will obviously remove the ability to access the given keyboard until it has been downloaded and installed again. The next time you’re in a place to enter text, the removed keyboard(s) will no longer be available. Keep in mind that by deleting a keyboard like Swype, you also remove what it has learned about your typing habits and preferences, and thus it would have to relearn if you were to download the keyboard again. You can also delete a keyboards preference by removing the associated keyboard app that installs onto your iOS home screen. You can also remove the Emoji keyboard through this menu if you added it, though with how popular and fun emoji is, you probably won’t want to do that. Don’t install keyboard you don’t trust. They can read what you type. So delete the ones you don’t trust or use.